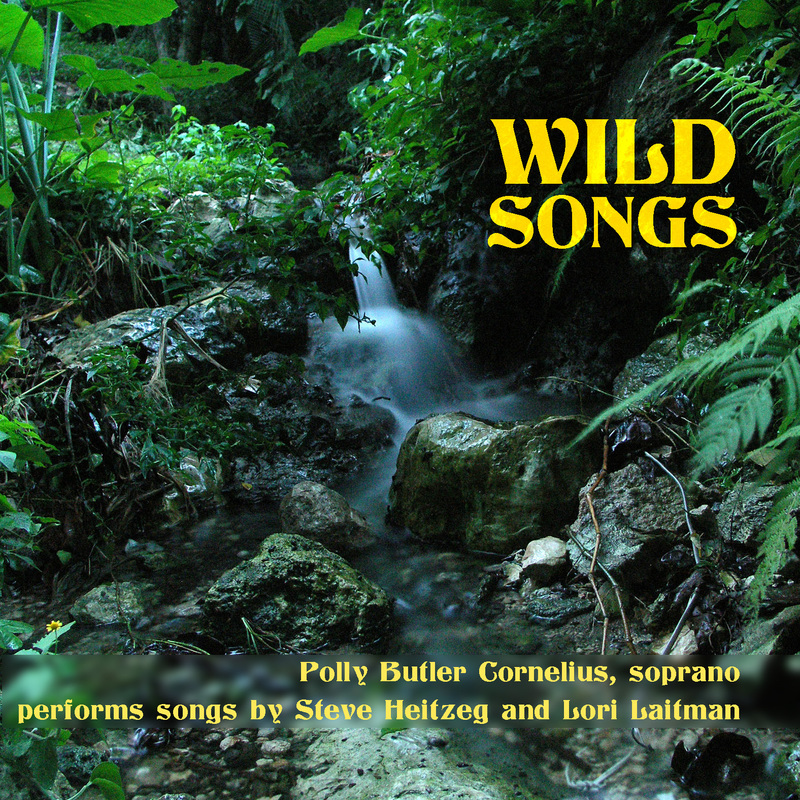 Contemporary art song is alive and well in the hands of soprano Polly Butler Cornelius and the team she has gathered for Wild Songs; a song recital as suitable for an environmental consciousness-raising event as for the salon. Drawing on impassioned pleas and the enigmatic nature-centered poetry of Emily Dickinson these powerful, lyrical songs charm and chasten. Steve Heitzeg’s Wild Songs — a set of three pieces on environmental themes on texts by Rachel Carson, Dr. Jane Goodall and Terry Tempest Williams — starts the recital on an urgent note. Cornelius is joined for these colorful songs by Zeitgeist members Heather Barringer and Patti Cudd on percussion instruments such as the jawbone of a Beluga whale, packages of organic seeds, and a Yupik frame drum. Not to be left out, bonobos (albeit pre-recorded ones) join the mix for the final song, a plea to preserve natural wilderness areas. Heitzeg’s other songs on the album set texts from Corinthians, Aeschylus and Robert F. Kennedy, whose dying words, “Is everybody else alright?” epitomize the selflessness and compassion at the center of this glowing program. The other songs, by the Emmy-award winning Heitzeg and art-song champion Lori Laitman, set poetry of Emily Dickinson, whose concise emotional gems fly easily off the page into the heart. One set, Three Graces for Hildur, was commissioned by Jack and Linda Hoeschler in honor of her mother; a fitting tribute. Dr. Polly Butler Cornelius teaches at Elon University in North Carolina. She is no stranger to the international stage and performs frequently in Italy and at major venues across the US. She is in demand as a soloist for opera, oratorio and song recitals, where she has carved a niche specializing in contemporary songs by Steve Heitzeg and Libby Larson among others. Her students can be found performing leading roles on Broadway, Off-Broadway, and on Glee. Pianist Victoria Fischer Faw also teaches at Elon and pursues an international career from Greece to Belize while being a Bartok specialist. "For people who think back nostalgically to Schubert and his musical circle and marvel at the small, private pleasures they enjoyed, here is evidence that such musical society and magic exist today, and that living composers … write music that is similarly attentive to the intimate, hidden beauties implicit in the composing music for friends. … [T]he music and poetry together … is aligned as only art songs can be to the vibrations and moods of the time."